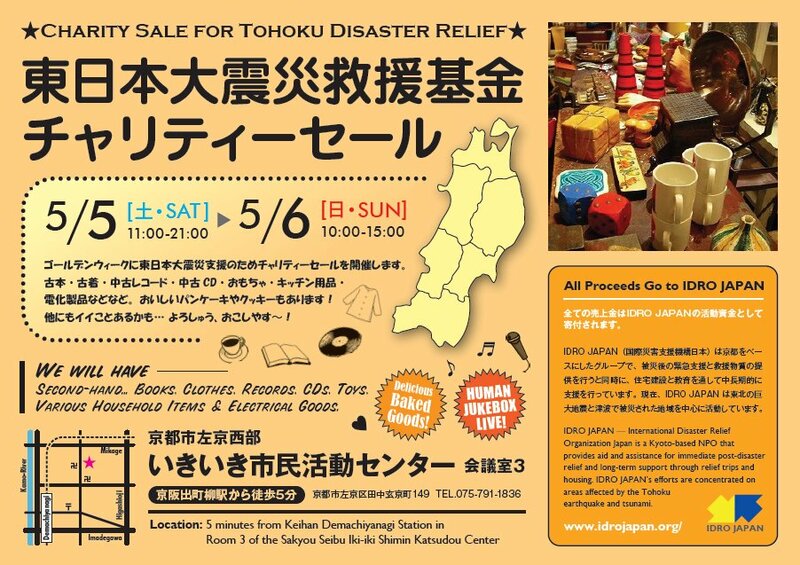 The charity sale for the big North-East Japan Earthquake that I posted about last year will take place again this year. If you'll be in Kyoto on May 5th or 6th, perhaps stop by. Michael Lambe gives full details over on Deep Kyoto (日本語版). Last year I donated several prints for the sale, but this year I'm thinking of something different. I recently had a large print of this Paul Barr piece framed for my office and I really like it, so I may ask Paul whether I can make another for the sale. Proceeds benefit Kyoto-based charity International Disaster Relief Organization Japan (IDRO Japan).